What more can I say - this is the most beautiful place on earth . . . Sometimes when you try too hard to find a photograph you overlook the obvious . . . Try to focus less and laugh more . . . you'll find it! 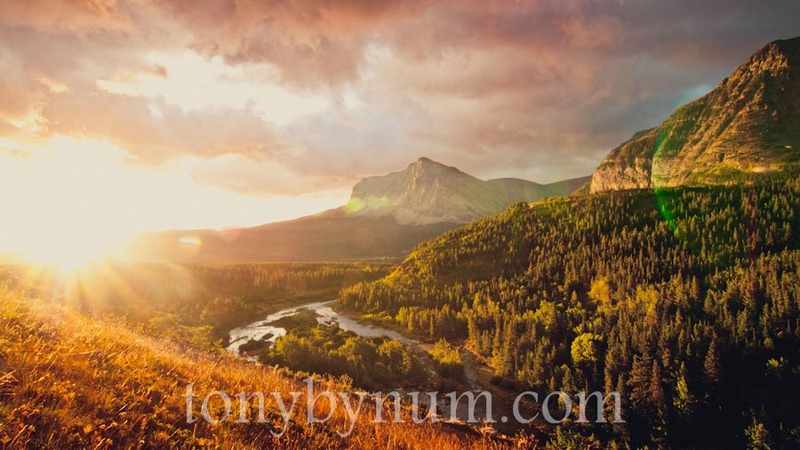 A warm, morning glow against the wild lands of Glacier National Park, Montana. ©tonybynum.com all rights reserved. The pictures show happiness and warmth. I love it! You might want to check Australia's kakadu national park tour. The things found there are also lovely and radiant.